It’s been a long time since Salonga had anything to celebrate. For decades, Africa’s largest forest park has suffered from a disastrous mix of neglect, disarray, insecurity and poaching. But at long last, there is some real cause for cheer. 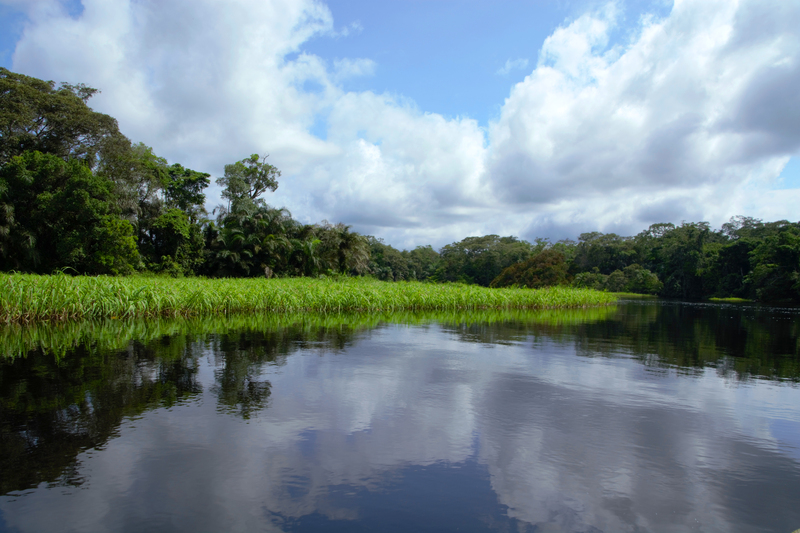 Last week, a hopeful new era began for the enormous park in the heart of the Democratic Republic of Congo (DRC) with the official launch of an innovative management agreement, which will see Salonga run jointly by the Congolese Institute for Nature Conservation (ICCN) and WWF. Gazetted as a national park in 1970, Salonga was later proclaimed a UNESCO World Heritage Site in recognition of its complex, intact and critically important ecosystems, which harboured a wealth of wildlife, including bonobos, forest elephants, Congo peacocks, giant pangolins and bongos. But a huge surge of poaching from the mid-80s to mid-90s coupled with insufficient management capacity, poor governance, and weak law enforcement devastated the park. In 1999, it was placed on the list of World Heritage Sites in Danger. 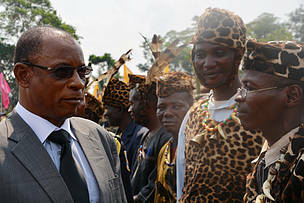 Muhindo was speaking during the public launch ceremony at the park headquarters in Monkoto, a small town nestled in the corridor that separates Salonga’s two vast blocks of protected forest, whose combined area is larger than Belgium and four times bigger than America’s Yellowstone National Park. “Today, more than ever, communities around the park and in the corridor seem to understand that the well being of future generations has a strong positive correlation with a thriving elephant population rather than with ivory trafficking income that they never see,” said Muhindo. Highlighting the cooperation that will be critical to the success of the new approach, the event was attended by representatives of the national government and local authorities, NGOs, local communities and the scheme’s principal financial partners. The event also marked the investiture of the new park manager, Oliver Nelson. 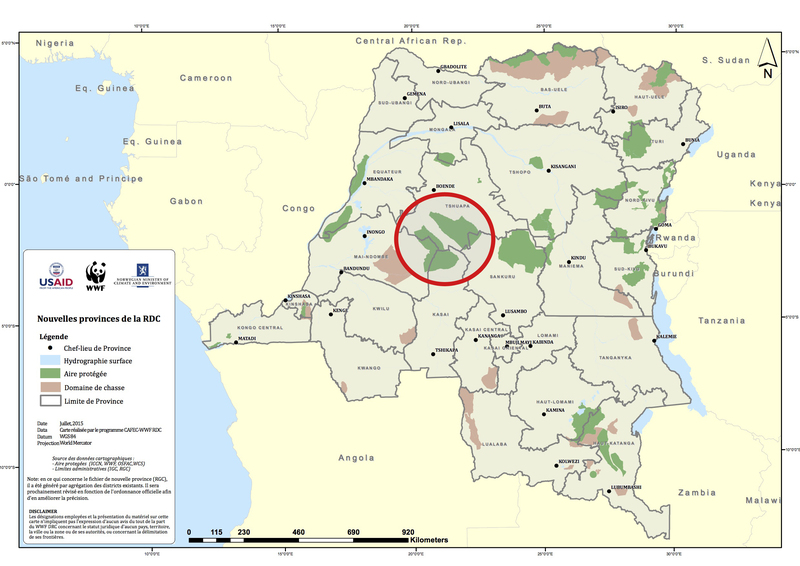 “We are fully conscious that conservation success in DRC can only be achieved through multi-stakeholder partnerships, and in that sense we have been making significant progress in Virunga and Garamba National Parks,” said ICCN General Director Balongelwa Cosma, referring to two other threatened World Heritage Sites in eastern DRC. 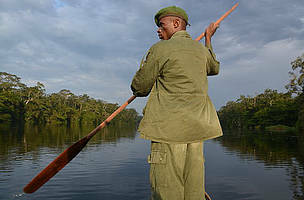 “It is now Salonga’s turn to benefit from all this expertise and support, and claim its well-deserved place among the world’s most important national parks,” Balongelwa added, stressing the extraordinary importance of Salonga to both DRC and the world because of its role as an immense freshwater reservoir and vast carbon store. But there is an enormous amount of work to do. Despite the park’s inaccessibility, its wildlife populations have been hit hard. Tributaries of the Congo River provide access deep into the park and have enabled bushmeat hunting and fishing to flourish in order to satisfy demand both locally and in the country's big urban centres, including the capital Kinshasa, which is several hundred kilometres away. Poaching and trafficking have also devastated the park’s elephant population in two major waves. The first hammered the park during the decade from the mid-80s to mid-90s. The second has swept across Salonga in recent years. Fuelled by soaring demand for ivory in Asia and increasingly driven by international organized crime, it shows little signs of abating. To tackle Salonga’s many challenges, the new management team will have to urgently address some critical needs. It will need to expand and professionalize the ranger force, ensure stronger involvement of neighboring communities in conservation, promote sustainable alternatives to bushmeat hunting and fishing, and secure ecological corridors between the park’s two blocks. While WWF assumes technical leadership of the management of the park, the European Union, USAID and German Cooperation KfW are providing vital funds for Salonga and the landscape around it. In the long run, the co-management scheme is intended to lead to the establishment of the Salonga Foundation, which will ensure the longterm financial sustainability and quality management for the park. 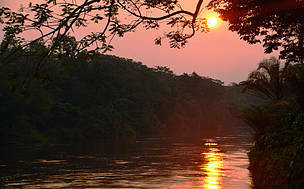 Sunset over Luilaka River in Salonga National Park, DRC. 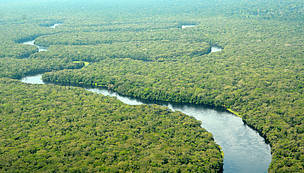 It is Africa's largest forest park and is on the list of World Heritage Sites in danger. 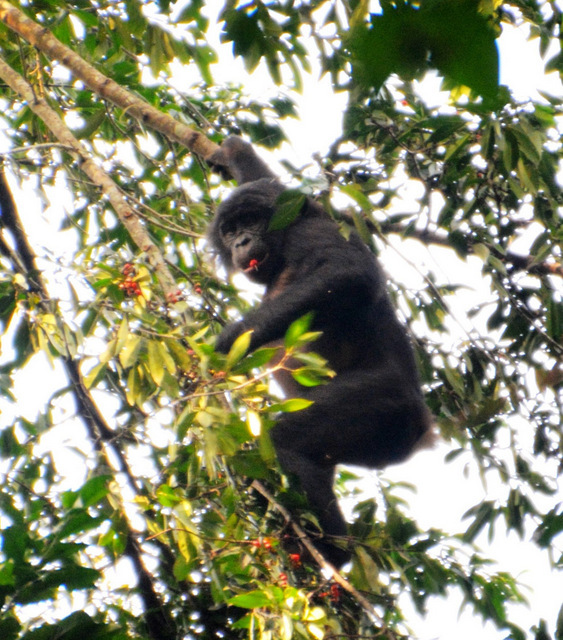 Salonga in the DRC is the only national park to harbour bonobos. 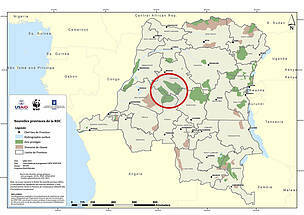 Salonga National Park in DRC will now be co-managed by ICCN and WWF. At the launch ceremony, the Governor of Tshuapa Province meets traditional chiefs. 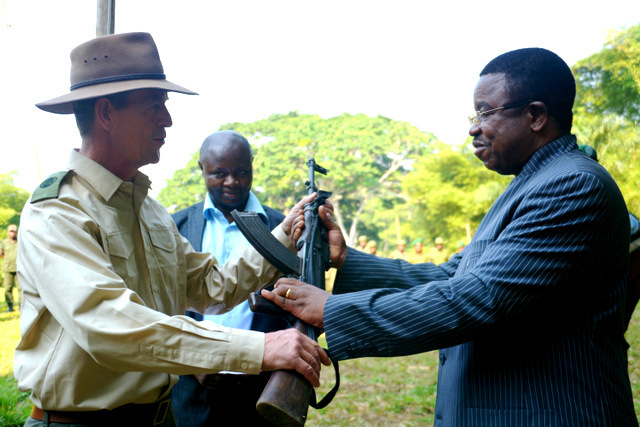 ICCN General Director investing Oliver Nelson as new manager of Salonga National Park in DRC with the Director of WWF-DRC looking on. Salonga is divided into six sectors, each with a ranger station and several patrol posts. Nearly 300 eco-guards are on the frontlines of the anti-poaching fight.